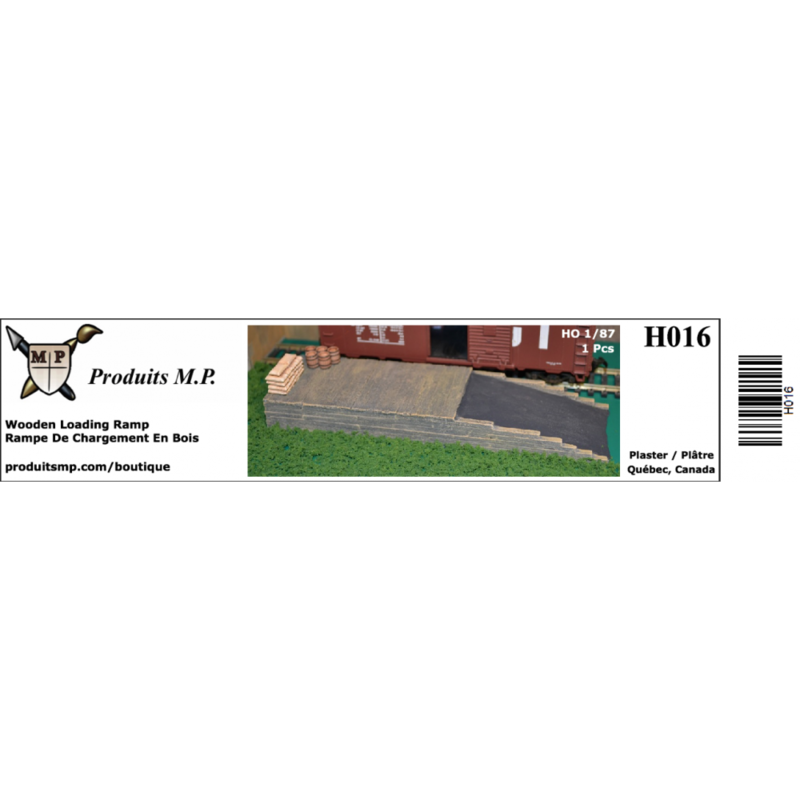 Our loading ramp are made of Hydrocal plaster, which makes it easy to paint them with acrylic paint. 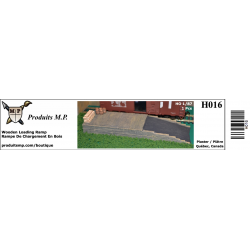 L 6" 1/2 x H 1" 13/16 x W 11/16"
Cut stone tunnel portal for HO scale (1/87) Our tunnel portal are made of Hydrocal plaster,..
Mixed wood crates for HO train layouts Plaster crates for HO, 1/72 scale. 66 pieces. Model ..
Wood barrels for HO scale Our Wood barrels are made of Hydrocal plaster, which makes them e..
German Oil drums for HO scale Our oil drums are made of Hydrocal plaster, which makes them .. US Oil drums for 1/72 scale Our oil drums are made of Hydrocal plaster, which makes them ea..
German Oil drums for 1/72 scale Our oil drums are made of Hydrocal plaster, which makes the..
Oil drums for S scale Our oil drums are made of Hydrocal plaster, which makes them easy ..
Miniatures pumpkins for HO scale scenes They are made of Hydrocal plaster, which makes them..
Miniature pumpkins for O scale scenes They are made of Hydrocal plaster, which makes them e..
Miniature modern fire hydrant for O scale scenes They will look great in front of a stor..
Miniature acetylene tank for O scale scenes They will look great in a industry, in the bac..
Miniature old fire hydrant for O scale scenes They will look great in front of a store, ..
Miniatures acetylene tank for HO scale scenes They will look great in a industry, in the b..
Miniature old fire hydrant for HO scale scenes They will look great in front of a store,..
Miniature Motorized roof vent for HO scale scenes They will look great on the roof of an i..
Miniature roof vent for HO scale scenes They will look great on the roof of an industry, s..
Miniature modern fire hydrant for HO scale scenes They will look great in front of a sto..
Miniature recycle trash bin on wheels for HO scale scenes They will look great in front ..
Miniature recycle trash bin on wheels for N scale scenes They will look great in front o..